Did Margaret Thatcher really save Britain? Or did she sow the seeds for a declining middle class, massive corporate greed, and cripple essential services to the people? Did Magaret Thatcher really save Britain? It’s now twenty three years since the lady resigned and I have some questions. I don’t exactly know the answers, but as you can see, I am not the only one asking those questions. As I ask them, I think back to history lessons more than forty years ago when our history teacher explained to us that the policies of various governments only showed up decades later. 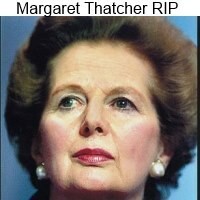 Did Margaret Thatcher Kill Jobs? Did Margaret Thatcher Kill the Mines and British Steel? The north of England has terrible poverty and a rise of feral people who have had three or four generations of being without work. Many in England have blamed this state of affairs on British welfare, claiming that if you give people money without work, then they will see no reason to work and they just degenerate over the generations. Is this true? For a while, I did not question that logic. Now I do. Here are my questions. If there is no work, because the iron lady killed industry and British Steel (and I have no idea if she did or didn’t), then what are people to do? I do not believe for one moment that the reason people are not working is because they have been patterned that way. Rather I think, it has to do with limited work opportunities and poor education – possibly the result of Margaret Thatcher’s policies. But did Margaret Thatcher really kill British Steel as is claimed? Or was it just not a viable proposition? And if it wasn't a viable proposition, were there certain industries where strategic factors were a necessary consideration? Were the Unions really asking for so much money that they were killing industry, or was it a case of the upper class seeing a sizeable drop in their income, and that was the real issue? I don’t know the answers to those questions because nobody really examined them. In those days.There wasn’t an internet to look for information. And there certainly wasn’t a wiki-leaks. Did Margaret Thatcher really 'save' Britain? Baroness Thatcher was Britain's longest serving prime minister of recent times and the West's first female head of government. She may or may not have caused it, but Britain under Thatcher saw huge economic, demographic and cultural change. These are just some of the facts. The truth is that, as the Education Secretary in the Heath government between 1970 and 1974, she was responsible for the closure of more grammar schools than any other holder of that post in history. The poor became poorer and the rich became richer during Margaret Thatcher's rule. Was Privatizing State Owned Industry a Solution or a Problem? There are many who will tell you (in retrospect) that since various state owned industries have become privatized that they are the worse for wear. I can certainly attest to that fact. Telkom in South Africa isn’t half the organization that Eskom used to be. This is the complete opposite of the (still) state owned South African Airways, one of the best airlines in the world. The reason given for privatizing state owned industries at the time was that the private sector was much better at economizing than the public sector. At best, this was fuzzy logic. In view of the fact that those companies have increasingly offered less and less quality service with higher and higher prices (while making unheard of profits for their owners), I suspect that there could have been better solutions. Why, for instance, did Margaret Thatcher, not make enquiries as to why these services were costing more money? And was it that they were actually costing more money, or was money now being diverted into other departments of government? Who knows? Nobody ever really asked those questions. Of course, in retrospect, the people who could afford to buy these state owned companies had a bargain to die for. Plus, they had a guaranteed market. In addition, the press was owned by the rich in those days. So why wouldn’t they write positive things about privatizing state owned assets? The world was a different place. Both Margaret Thatcher and Ronald Reagan have been vilified by the left since the days they held courts of glory. The right still sees them as glorious icons. The fact that the bulk of service jobs now fall into the wage slavery category because there are no unions to protect the working classes, and the fact that industries supplying essential services to the public now do so at the expense of the public is not lost on the majority of people – who happen to be poor. There’s another interesting factor. Since the days of Thatcher and Reagan, there’s been a growing decline of the middle classes. That’s an international trend and it’s been brought about by the massive profits of mega-corporations, no unions to pay staff a livable wage, the princely salaries of CEOs, and extraordinary mark-ups on goods. So depending on whether one is still living the good life or whether one is now suffering the consequences of decisions made during the Reagan and Thatcher years, one will either vilify them or still admire them. Frank, "]but she imposed the wrong solution." In a nutshell. Yes, there were problems in Britian that Thatcher tried to solve [which included union militancy]but she imposed the wrong solution. Thatcher's solution was to weaken the protections for working people and use the powers of the state corruptly. Her policies wrote working people out of the economic calculation. They were tools of the system rather than beneficiaries. Thus massive injustice resulted. Her interest rate policies were not mediaeval, they did not allow usury in the middle ages. But a fifteen percent mortgage rates sustained over many years broke many ordinary people and led to much misery. Rupert Taylor. Yes Izzy had it on facebook. LMAO! EliasZanetti, yes. If you were poor, you felt the brunt of what she did. That said, nobody is really sure if the Unions were being too greedy and if that is what made British Steel unprofitable. Or whether it was just set up incorrectly. So many details never really became publish knowledge. A measure of Thatcher's unpopularity is that the song "Ding Dong, the Witch is Dead" from the Wizard of Oz is the third most popular tune in Britain this week. by Tessa Schlesinger. Explains the existing Immigration Laws, plus the existing path to citizenship. Also explains that one can be an immigrant without being a citizen. by Tessa Schlesinger. What is Google Authorship? How Google Authorship benefits writers. How do you get Google Authorship?